If you aren’t aware of the game on 3DS, Fantasy Life is an MMO-lite that had a very charming art style and a lovely soundtrack. The quest structure managed to scratch my MMO itch on the 3DS with just enough busy work and variety. Fantasy Life Online will let you pick a class (Called a Life in game) and start your journey that will change depending on your choices. If you’re looking forward to playing it right now, you need to make a Japanese iTunes account. Here’s a guide on how to make an iTunes account for another region which is even useful for soft launched games. 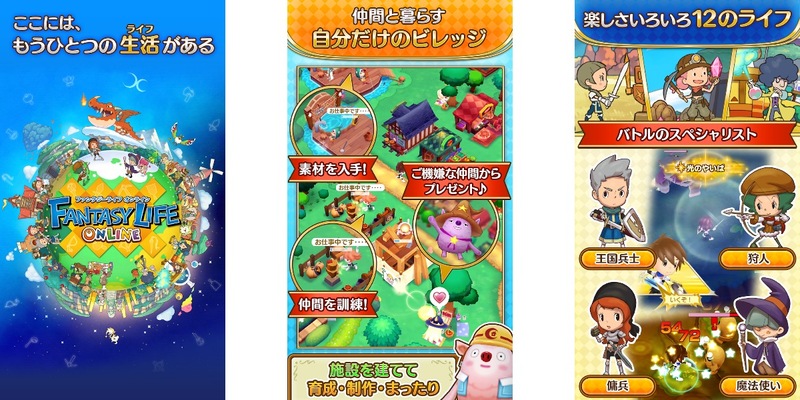 Fantasy Life Online is now available for free on both iOS and Android in Japan. Here’s a list of supported devices on Android. I hope this gets localised but there’s been no indication of it happening. If you do end up checking it out, let us know how it is in the comments. Here’s the full website for the game if you want some more information.